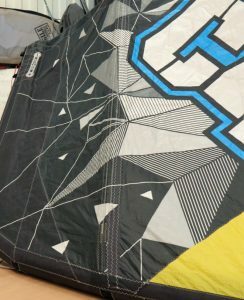 This kite came to us with matching rips on both sides, right along the struts. We put it back together and it is flying again. 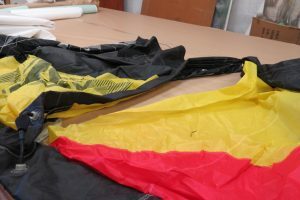 Call us on 01736 754659 to arrange a kite repair. 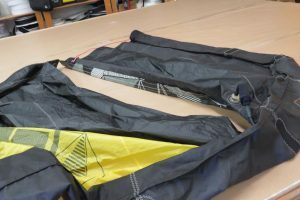 We can also courier the sail anywhere in the UK. 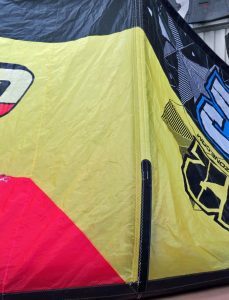 Or if you see Steve and Julie at the beach then give the kite to them, and they will get it fixed in no time!